Looks like Serena Williams has some really good friends, as La La, Ciara and Kim Kardashian came through show their love during her match against Anastasia Pavlyuchenkova. With all the photo shoots, long studio hours and video shoots for their reality TV shows, its nice to see the ladies taking some time out to support their homie Serena. Ms. Williams,who recently recovered from a serious foot injury, handily won the game with a 7-5, 6-1 victory. Maybe her crew is her goodluck charm? Not that she needs it. 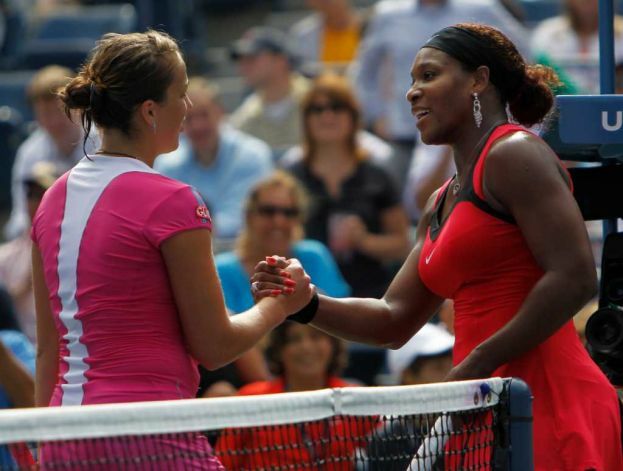 Serena will go on to play in the Semi-finals on Saturday, September 10th.